Well, at least for me... I was very vocal about not liking Singapore (SG). I decided to write about the things I enjoyed there first before anything else. I am not a fan of Utopian cities - which was what I really felt upon arriving there. 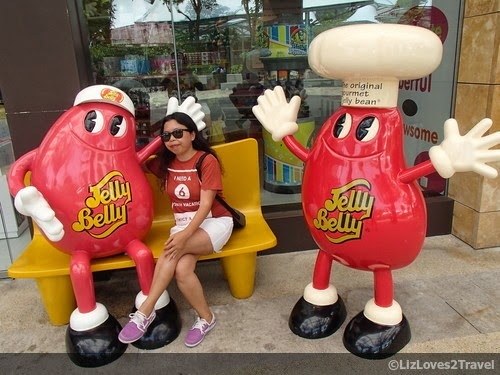 Without further ado, here are places where I felt most happy in SG. Concrete jungle bores me. 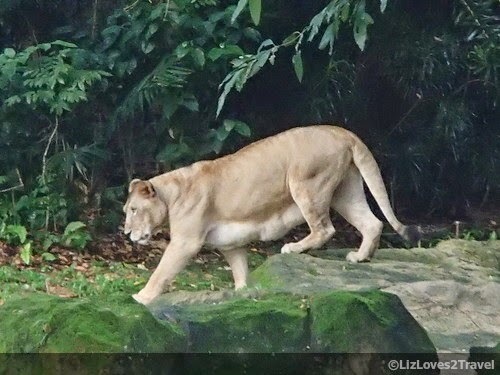 So as soon I saw the Singapore Zoo in the tourist map, I instantly knew I want to go there. You can reach it easily from anywhere in the city. We just took the MRT (Red Line) and alighted in Ang Mo Kio station. From there, we went to the bus terminal in Ang Mo Kio Hub and took Bus 138. 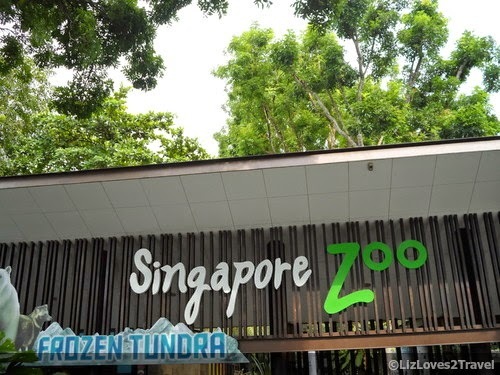 The ticket we bought is just the SG Zoo Ticket (SGD 32) with Unlimited Tram Rides (SGD 5). 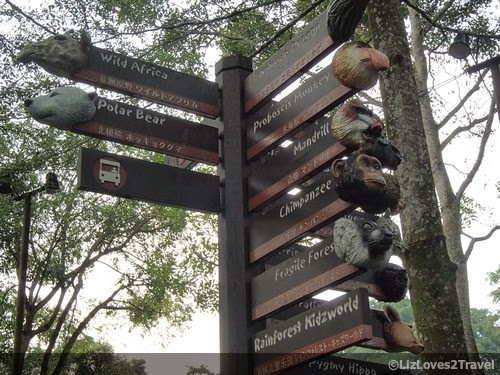 We have no plans to do the River or Night Safari neither to see Jurong Bird Park. We came in a bit late already (after lunch). I have a soft spot for animals. I'm not even a zoo person because I strongly believe they should be in their natural habitat. 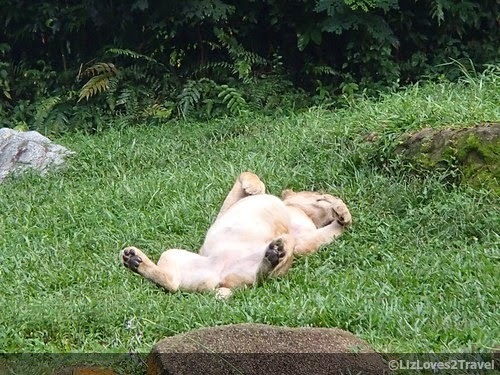 But I've heard great things about the Singapore Zoo. 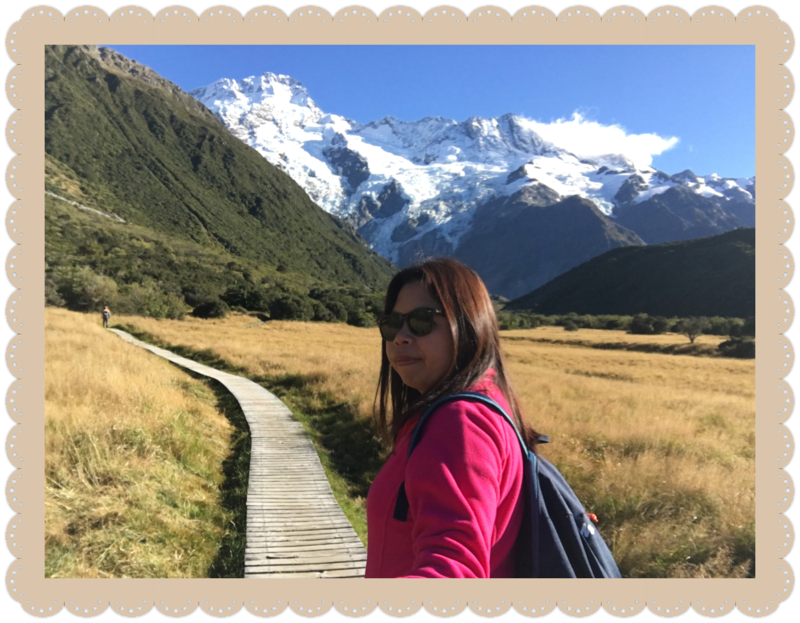 SG is known to be good at everything it does, so I thought visiting it will be worth it. The first thing I noticed was - it is huge! It has 11 zones that you can explore. Getting the unlimited tram rides was the best decision. It is not fun looking at the animals while on a speedy tram but you can use it for transporting yourselves from one site to another. 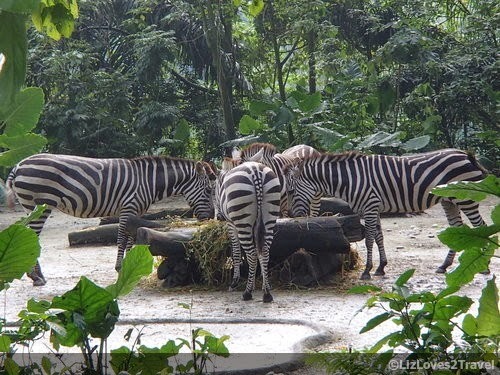 Unlike other zoos I've visited, SG Zoo has a lots of animals (of different kinds, I mean) which is impressive! One more thing I've noticed is that they looked healthy and being taken cared of very well. 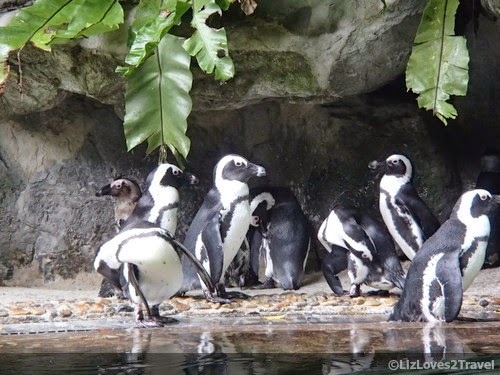 It isn't an award-winning zoo for nothing. 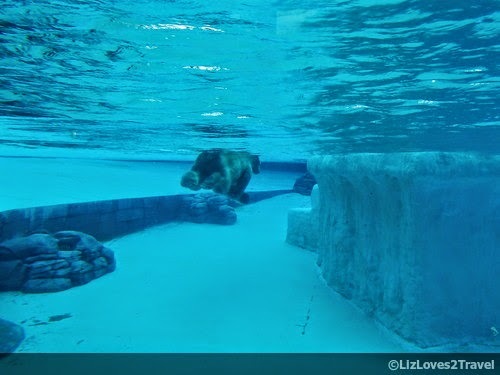 I also commend their efforts to make their enclosures very spacious and similar to their natural habitats in the wild. One of the parts I liked the most was the Cat Country. We have canines and felines at home as pets. I am equally fascinated with big cats as much as with cute domesticated cats. Now let's talk about my least favorite part, The Frozen Tundra. Other people probably liked this zone very much. Especially if like me, you were born and raised in a tropical country where snow is non-existent and polar bears are just seen in books and on TV. The idea of having and seeing a polar bear in Southeast Asia is of course exciting. We entered the Arctic habitat replica's viewing area which is as cold as a freezer as expected. 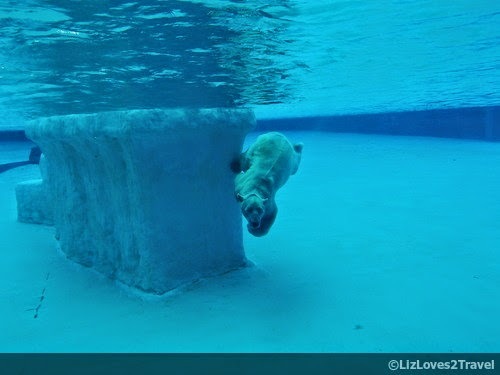 There was Inuka, swimming tirelessly. 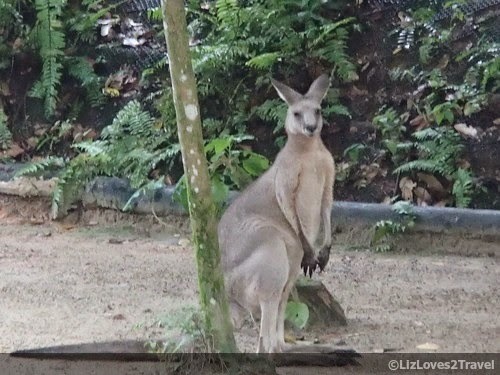 He was born there in SG Zoo. 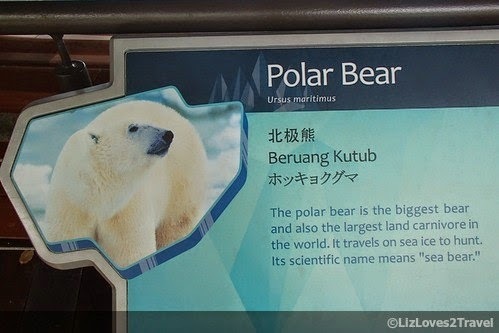 In fact, he was the first polar bear to be born in a tropical country. 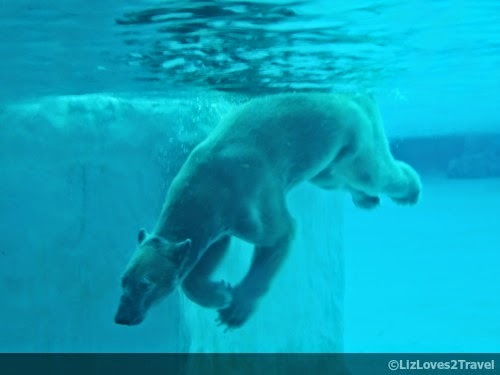 After seeing Inuka swimming back and forth non-stop, I can tell that he is stressed. Or he probably didn't like to stop and get out of the water because it wasn't as cold up there. 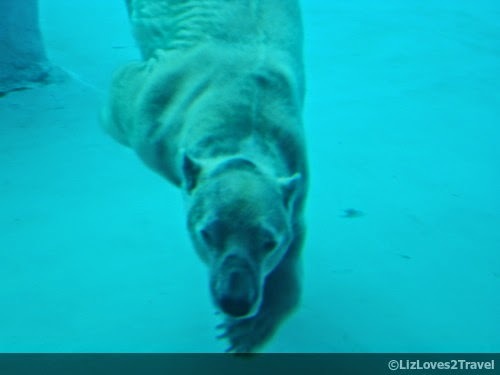 The zoo spent $ 8,000,000 for his enclosure and much needed space but I think they won't be able to replicate the polar environment where he is supposed to be. what do you think? does he look fine? They are known to be marine mammals who spends months in the sea to hunt. I don't know if I'm just thinking too much or if I just love animals, but I don't think he is happy. I felt really sad for him. 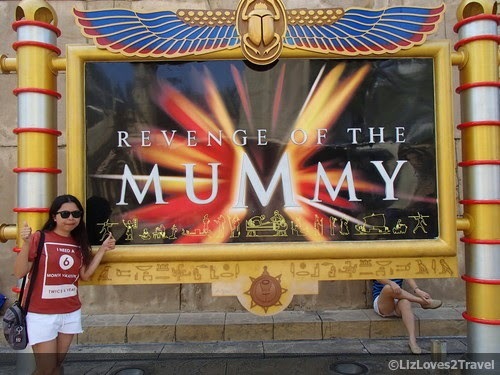 Another place that I liked in SG is the USS. Again we just took the MRT (Purple Line) then alighted in Harbour Front station. We took Exit E to Vivo City then went to Level 3 to board Sentosa Express. It is just 1 stop from there. 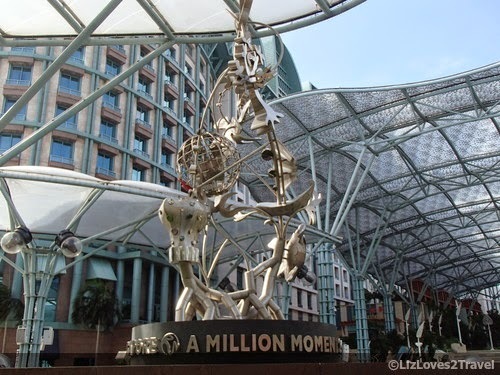 From Waterfront station, you can just walk towards USS. And there it is... the famous Universal Studios globe! We bought a 1-day pass which amounts to SGD 74. That time we were able to get 10% discount for purchasing our tickets online. The park has 7 zones. 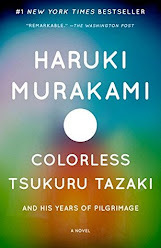 Each of them has different characters and offers immersive experiences. We enjoyed all of them but below are our favorites. 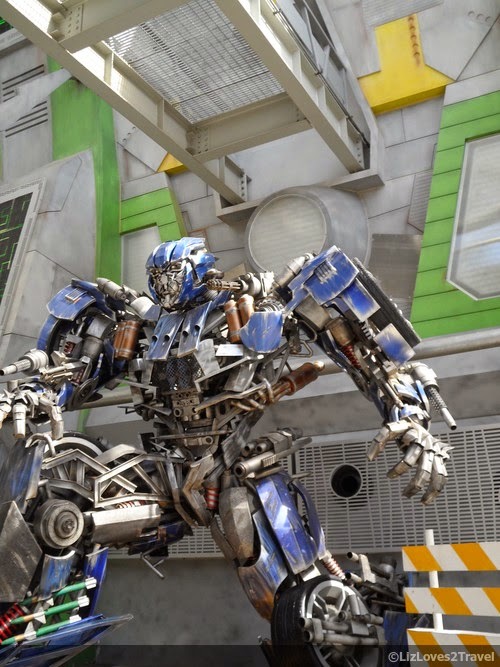 My favorite among all of them was the Transformers The Ride: The Ultimate 3D Battle. 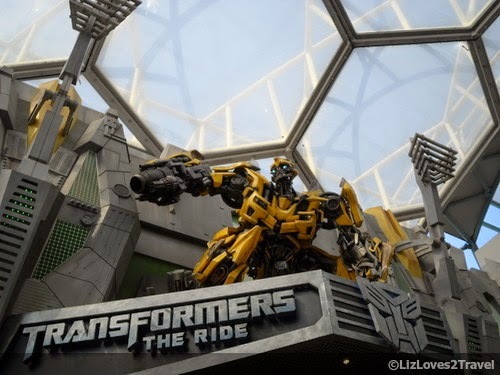 This 3D super realistic ride is so thrilling and intense! As soon as you hop-on to the seat, you're in for a fantastic, heart-stopping adventure. I loved it so much that we did it twice! I didn't mind the long queue at all. 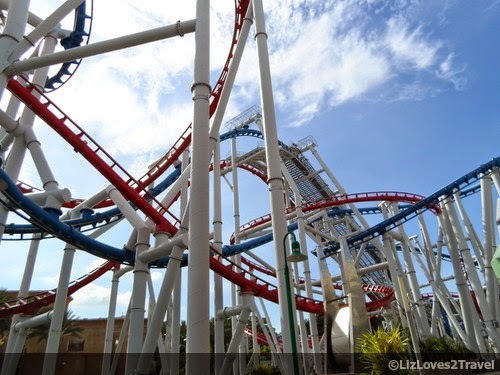 One of USS's famous rides which is also in the Sci-Fi zone was the Battlestar Galactica. It was no longer operational when we were there. 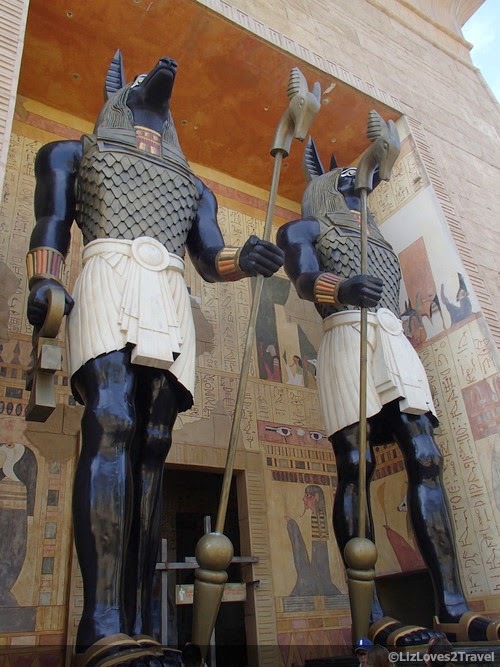 But just late last year, November 2014 they announced that it will reopen early this year. Just not sure how "early" as there is still no new announcement about it. Beau's favorite was this one. Roller coaster in the dark? Can you believe it? Yeah, it's an indoor coaster with awesome effects that's suppose to scare you. I wasn't very delighted by this. Maybe because it was too dark that I didn't see that much inside. I have a very poor eyesight especially in the dark. I don't know if it's a good thing or a bad thing haha! 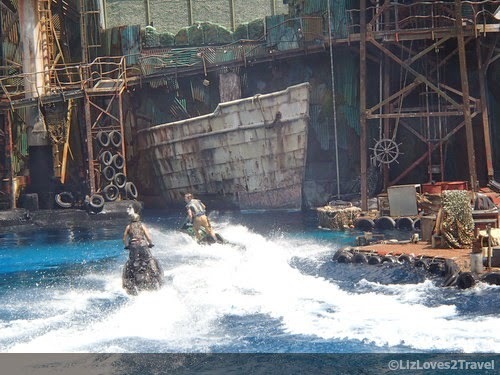 Another thing that amazed us here was the Waterworld. Lost World's explosive and breathtaking show! Our first impression when we got to the set location was "what's this?" But man, as soon as the show started we were wowed. 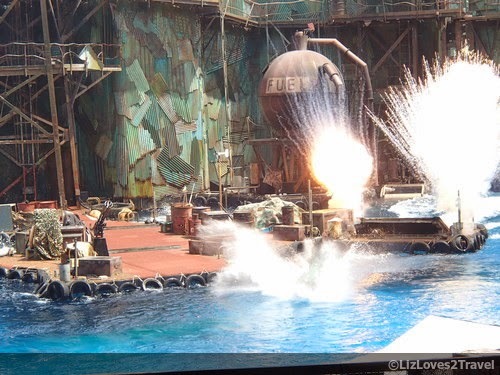 The water scenes, the death-defying stunts, the real explosions - the show was superb! I just couldn't say anything but wow! 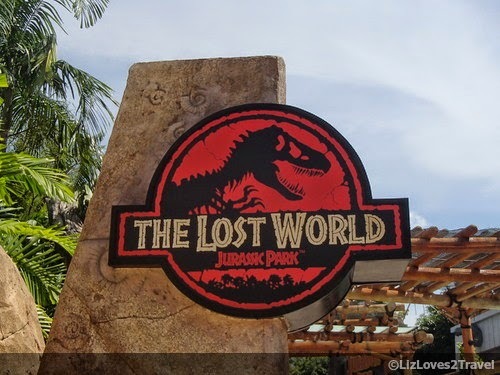 Another must-try in the Lost World zone is the Jurassic Park Rapids Adventure. 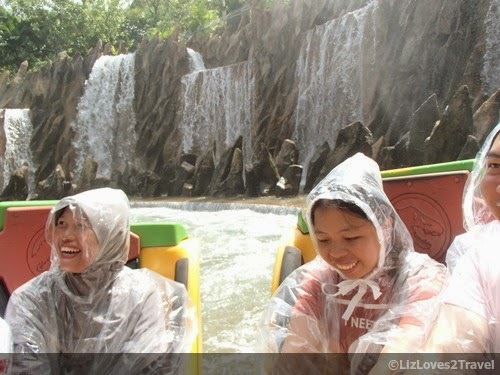 it's so fun getting wet in The Lost World! 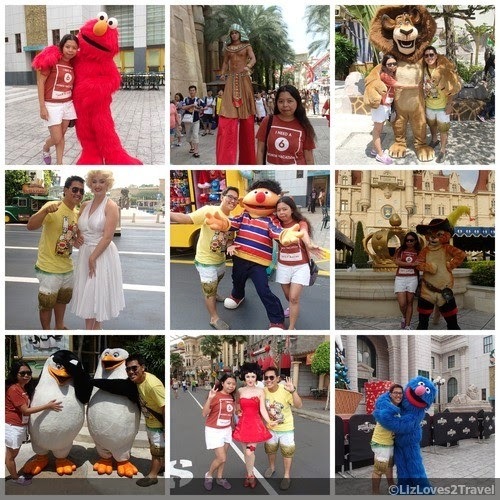 It is very much alike to Enchanted Kingdom's Rio Grande. 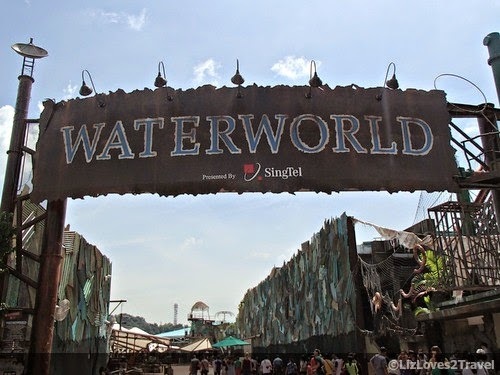 For me, it's more of a kid-friendly adventure but of course, adults can enjoy it too! 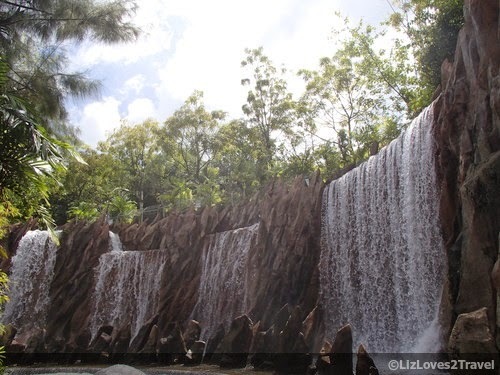 The rafts pass through the waterways where you will see dinosaurs "lurking". We shared the raft with a family whom we had fun with. Wear a coat and an easy-to-dry footwear if you don't want to end up soaking wet! Walking in the park the whole day was exhausting but it was absolutely entertaining. 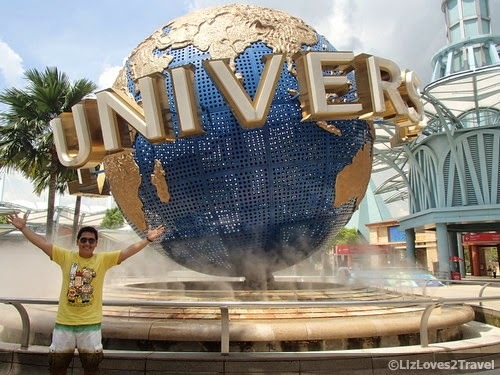 In fact, the best part of Singapore for me is the USS! "You don't stop having fun when you get old. You get old when you stop having fun." 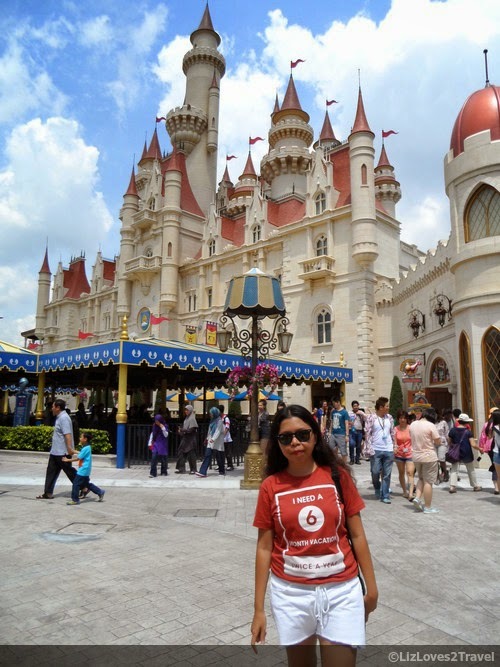 This is Part 1 of my Singapore travel series.